not knowing about what it is. The event I am going to tell you about will only happen once. Yes you heard me right, only once! this platter is still available for purchase here. 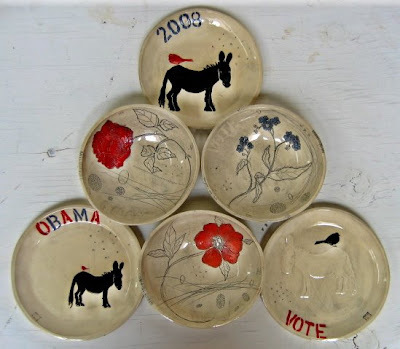 think pottery, think art, think politics, think statement, think humor, think satire, think a good cause, think Barack Obama, think serious, but in all seriousness I think you you should not miss this. Now I can go on and try and describe what others have already done in far more eloquent manner than I could ever manage to do myself so I'd rather give credit where credit is due and introduce you to the amazing people behind this effort. Ayumi Horie, whom you've heard me talk about on more than one occasion is the master mind behind this phenomenal event. 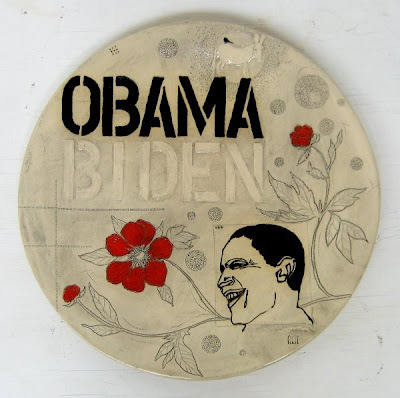 Ayumi asked twenty-seven contemporary potters and ceramists to donate Obama and election themed work in order to raise money to help support Barack Obama and his campaign effort. scurried back to their studios and got to work and the result...Well you are just going to have to go and visit the online sale yourself to see what everyone came up with. 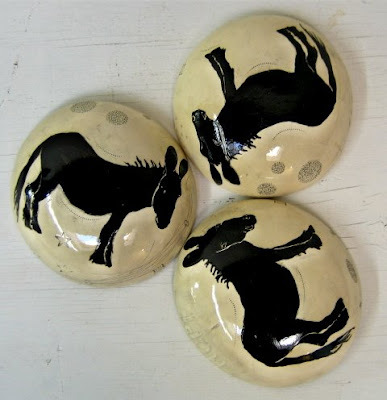 From hand made mugs and cups ,decorative pieces to sculpture. 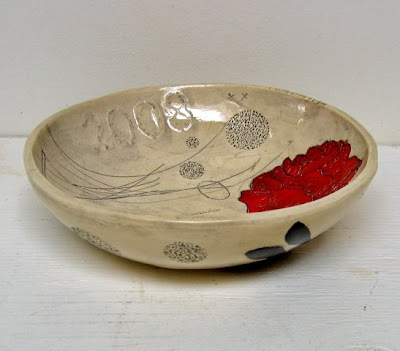 It is an excellent display of the versatility of ceramics both as functional object and as Art. Also you might want to put on your reading glasses before you head on over to the site because there is an essay by Sarah Archer that is not to be missed. Be for-warned, it is lengthy and dense but I promise you every word of it is a golden nugget of information that you will wonder how on earth you managed to survive without for so long. I happen to be one of the twenty-seven Artists that are participating in the event. I really only have one thing to say about being included. So go on folks, check it out! hold a little piece of it in your hands.